2018 started off with the best new fashion I have seen from my long time collaborators Despres metal Art and Silver Cedar Studios. New Metal work. New Furs. New fashion. 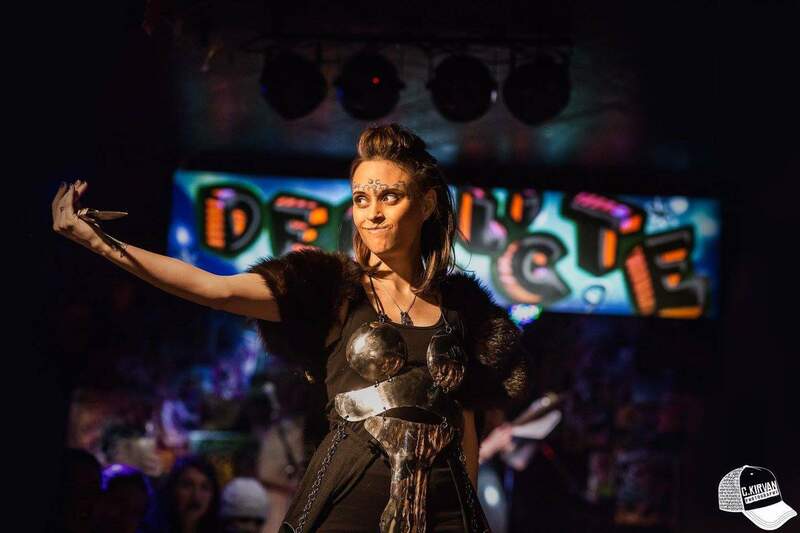 The big reveal was at our second year for Silver Cedar fashion house for Definitely Superior Art gallery’s “Derelicte: a fashion art show 10”. 10 for 10 years of amazing fashion which I gladly have supported, attended and supported for a decade! All the new metal pieces were designed by Despress Metal Art and All new fur fashion by Silver Cedar Studio. We went with a pitcish woad blue warrior paint design to keep everyone cohesive. 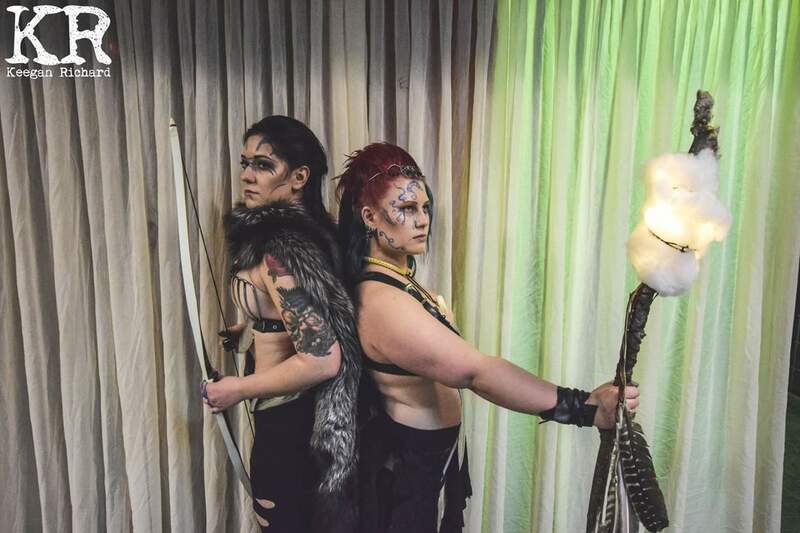 Breann styled everyone’s hair, even adding boar tails to Candice’s mohawk! 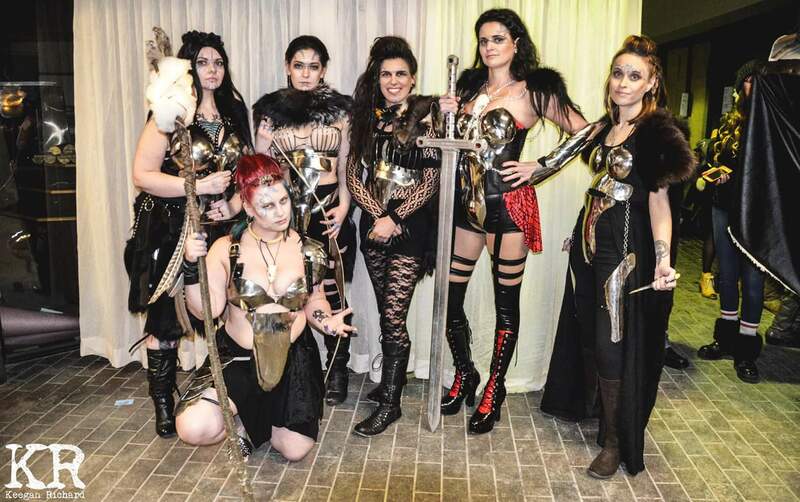 Each model had chosen their own personal warrior woman to inspire them. 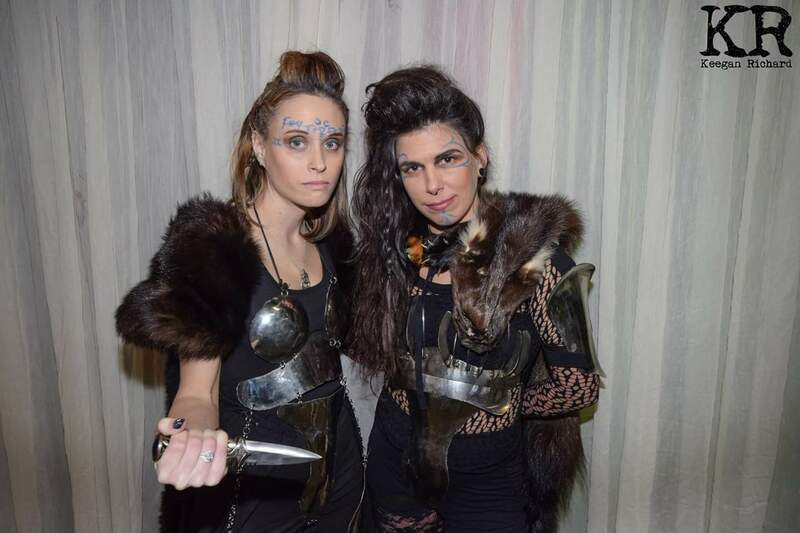 Tonight they will be featuring Avant Garde Fashion known as the Warrior Women! By combining their creative talents they drew upon historical, mythological,fictional and downright influential women of our past and present. all featuring real fur, leather and hand forged metal! 1. 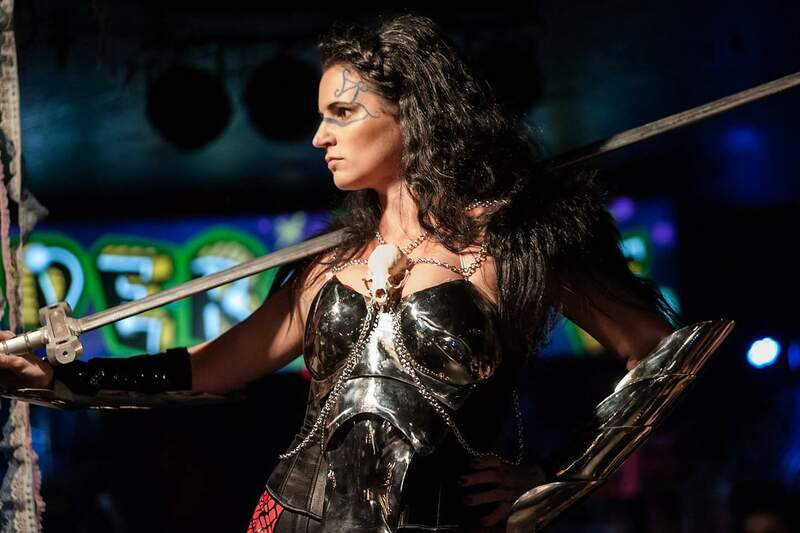 Scotia brings forth the spirit of Lagertha from Vikings with her armour of Steel and Straps! Every curve is clutched by metal forged by skilled hands and held tight with leather buckles. She is graced with the furs of her ancestors, mongolian mutton skirt and sheared raccoon guards protect her from the elements and accentuate her every move. A goat and fox corset cascade over her shoulders as she commands the room. 2. Lexi has brought to life Tauriel the elven warrior from JRR Tolkien. Draped in a bear cape to cover her shoulders and head piece to help slip through the forest undetected. She is quick to be at the forefront of any battle. Shining underneath, slim sheets of Stainless steel drip over her body like water. Protecting the elven warrior from those who try to bring her ruin. 3. 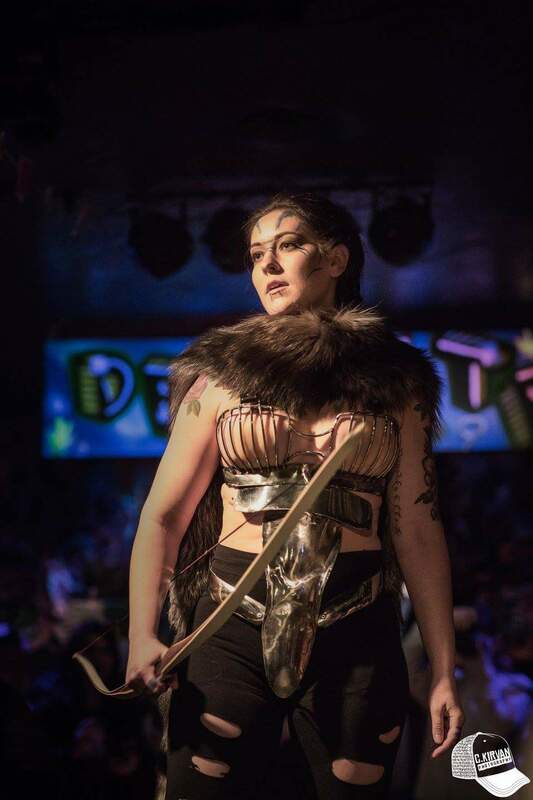 Breann represents Skadi the Norse giantess. With cage like cups and an armament designed for an archer she moves freely to wield her bow. A Silver Fox boa adorns her shoulders and falls freely down her back. High up in the mountains in a land of ice and snow, this woman is larger than life. 4. Holly looks as though she has jumped right out of a Marvel comic as the reincarnation of wolverine! Claw like cups and epic body coverage in the stainless corset are not something to be trifled with. Adorning her neck clasped tightly are the claws of a wolverine. This animal is the only fur that never frosts. Keeping Holly warm and ready for the next battle. 5. 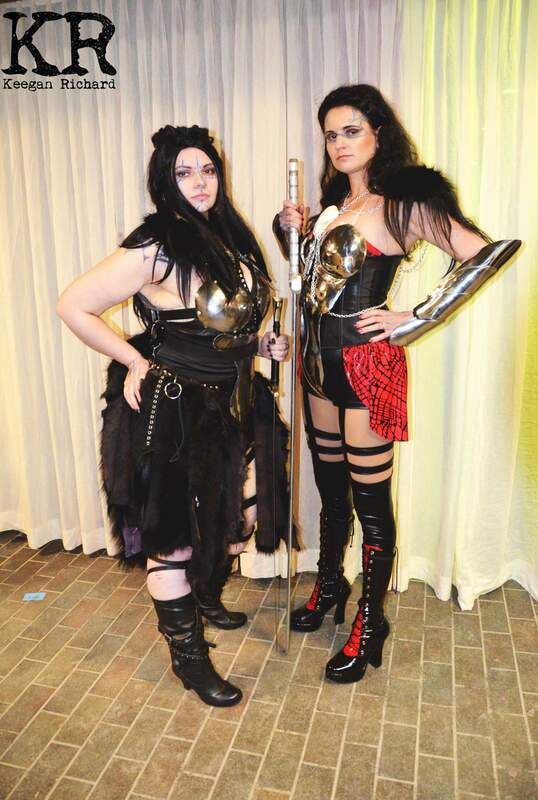 Diane graces us with the presence of Lady Sif. 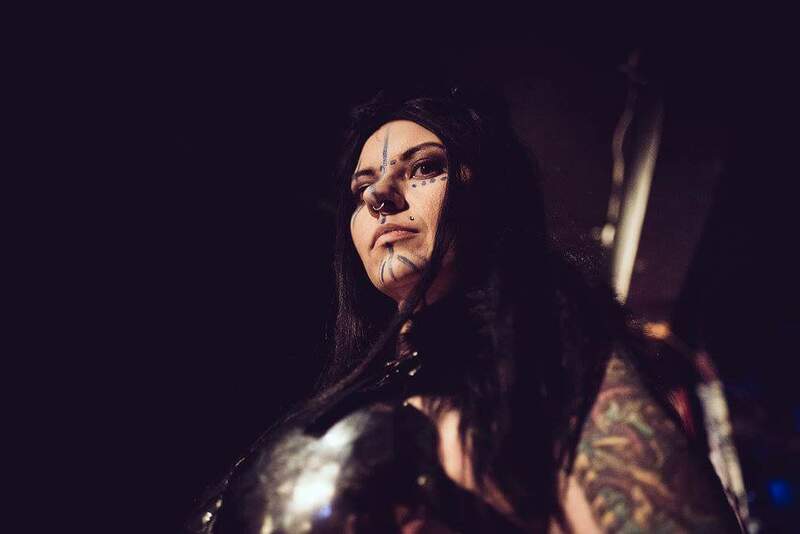 As a comic book companion to Thor she brings strength and pride to the forefront. Each armor piece is handcrafted to move with her body and poise. She is adorned with a fox and goat fur shoulder piece that features a fisher skull for that added deadly detail. 6. And finally Candice invokes the energy of the Volva. depend on nature for their beliefs, this outfit encompasses much of these elements. The metal armor forged by fire envelops her body, while the shoulder and hip plate represent water like crustaceans. Her hair is accented with the tail of warthog, while her skirt is made from sheared mink of the earth. She wears snake vertebrae and skulls, while her staff features owl talons for air.